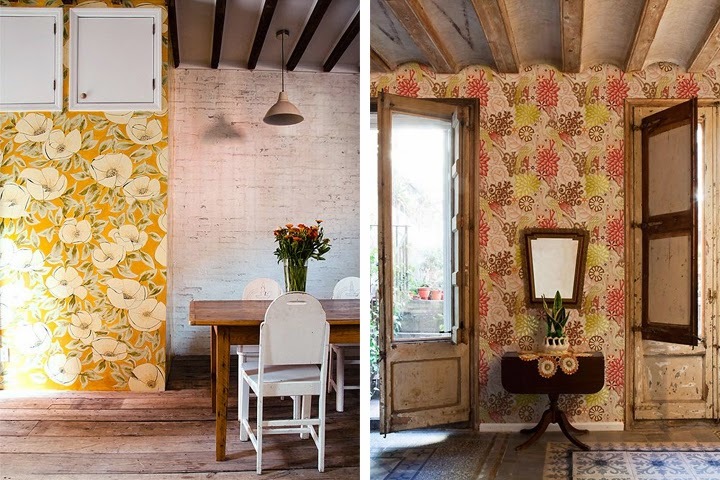 christinaprock: to wallpaper, or not to wallpaper? I probably spend a good hour or two daydreaming about house projects (ripping out the upstairs carpet, building shelves out of wood slabs, painting the exterior to cover the termite treatment, painting the kitchen a deep indigo to name a few). 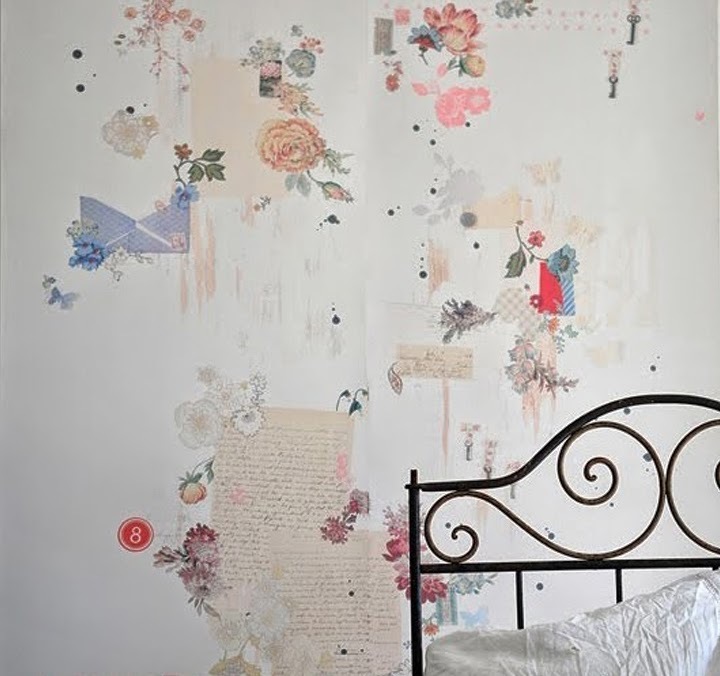 As I slowly transition an upstairs bedroom from the 6 petals vintage studio to an actual bedroom, I'm trying to acquire a proper bedroom furniture and decor. Unfortunately, it's one thing to find these great pieces, but it's another skill to actually style it. Not easy. 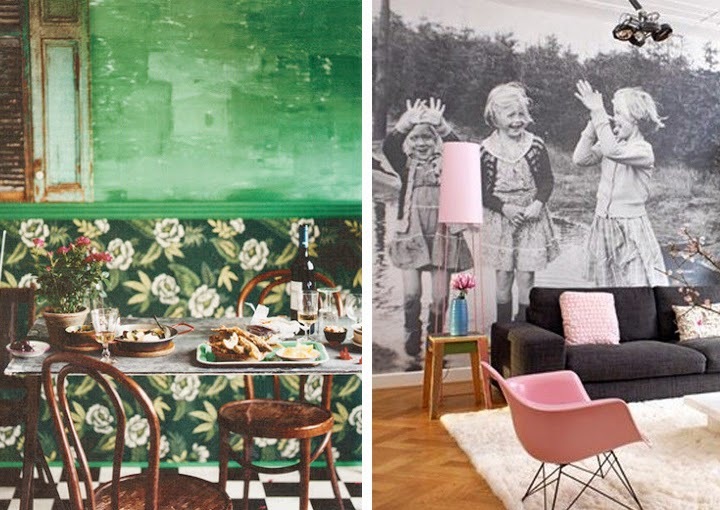 Lately, so many beautiful wallpapers are popping up on design and interior blogs. I know it's trendy, but I can't help but want to slap some on our walls. Some only covering certain areas, like just the back wall in that bedroom above. 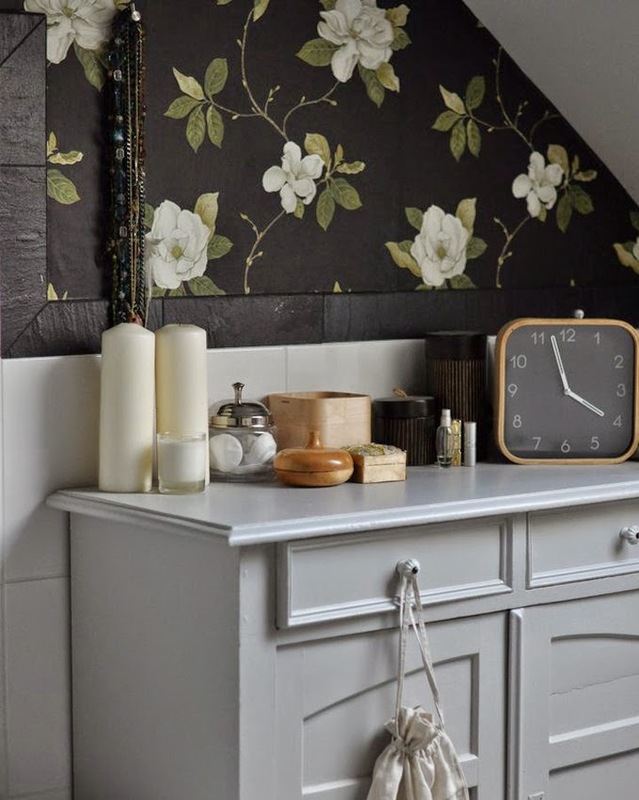 (After reading more about this wallpaper it has beautiful silver leaf detail that changes as it ages. I'm sold.) I really love the dark background and floral pattern below too. 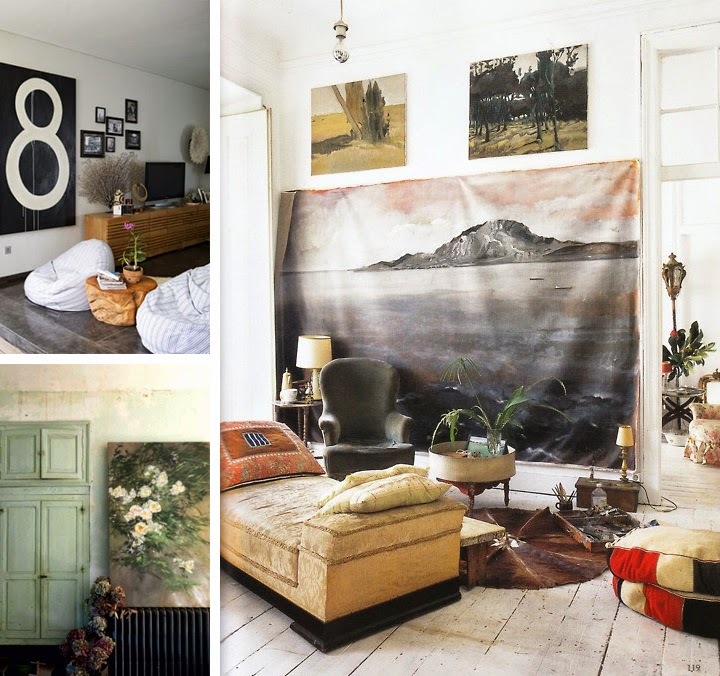 Or, as an alternative, just some large scale artwork or textiles on the walls. I love that big number 8 (I'd look for a 6) and the colors in that mountain below.